Type: Two-prong ladies' ring containing a hand-cut, free-form Kingman turquoise stone setting and a setting of a red coral pear-shaped cabochon. 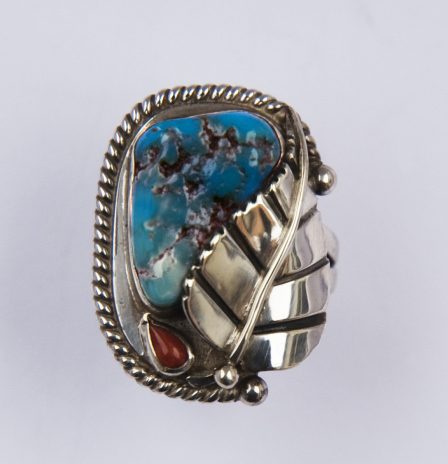 ANIMIKIIBAG (THUNDER LEAF), sterling silver ring set with Kingman turquoise and red coral. The ring consists of a two-wire shank. 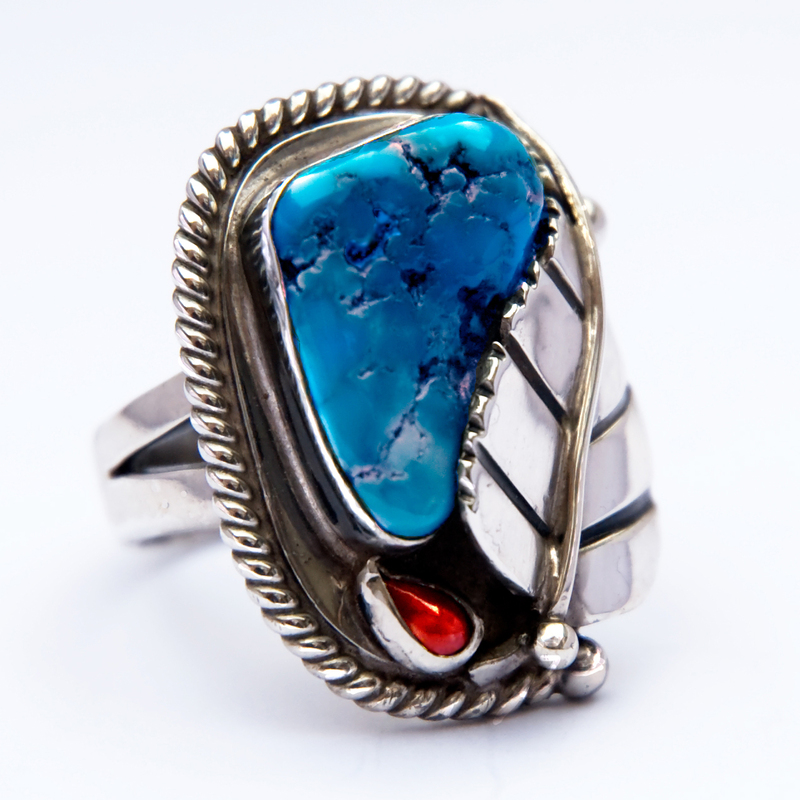 Although the ring design is reminiscent of the classic Dineh (Navajo) style, its symbolic theme is based on Anishinaabe tradition. The elegantly stylized silver leaf symbolizes Wiigwaas, the king-child of the Thunder Beings. The blue color of the free-form Kingman turquoise that I cut and shaped to match the silver leaf stands for Zhaawanong, the warm south, the dwelling place of Wiigwaas’s winged Fathers, while the red in the coral depicts the blood relationship between Birch Tree and the Thunderbirds. See also my art blog. Beautiful rings, what is the price of the Thunder Leaf ring in American money?